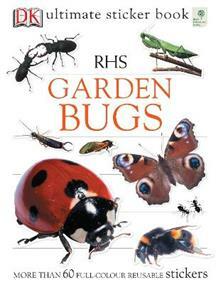 Bring the garden indoors with this life-like collection of 60 easy-to-peel stickers of creepy crawlies, published in association with the RHS. Here, find out what worms, woodlice, ants and aphids do to help your garden grow, and decorate your stuff with pictures that'll make you squirm. Extra stickers are also included to decorate school books or projects.